Mickey Mouse will always remain the most unforgatable gift that Disney gave the world. 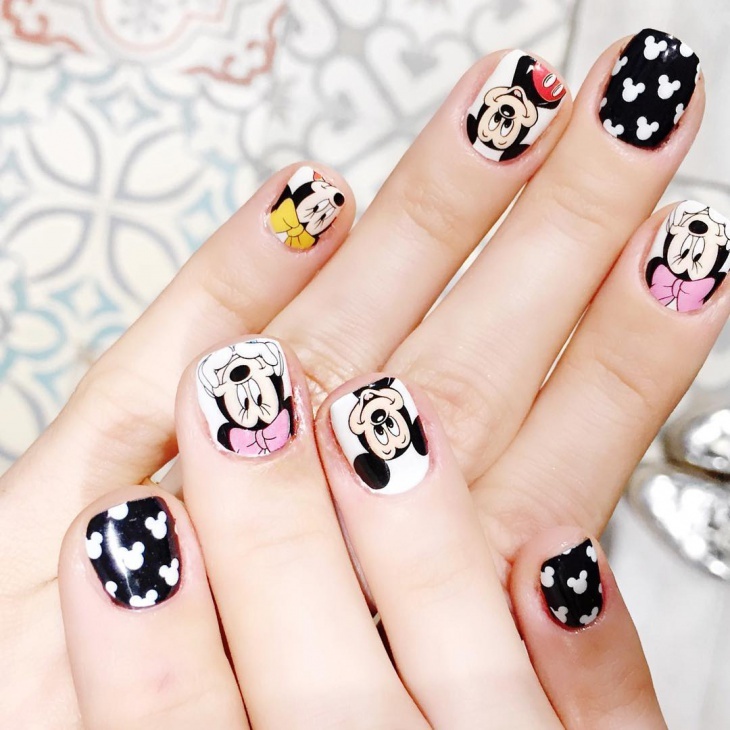 Mickey Mouse series has always been our favorite. Today it reminds us of the wonderful time we had while growing up. So much so that when we came across these nai art designs we fell in love with them and had to show them to you. So let’s witness these designs and get ready for some nostalgia. How many of you have collected Mickey Mouse stickers as kids? 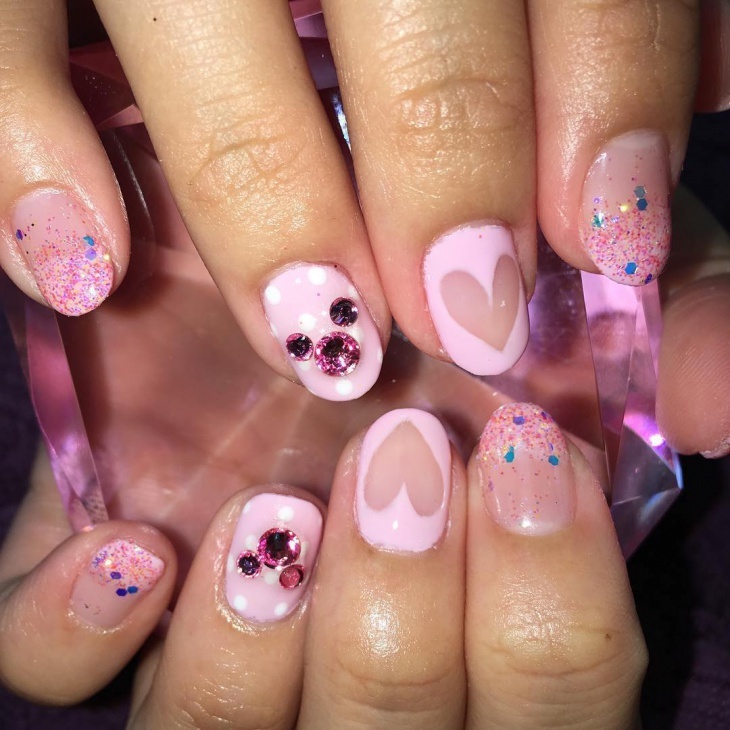 Well if not stickers then, we have stamping nail art for you. 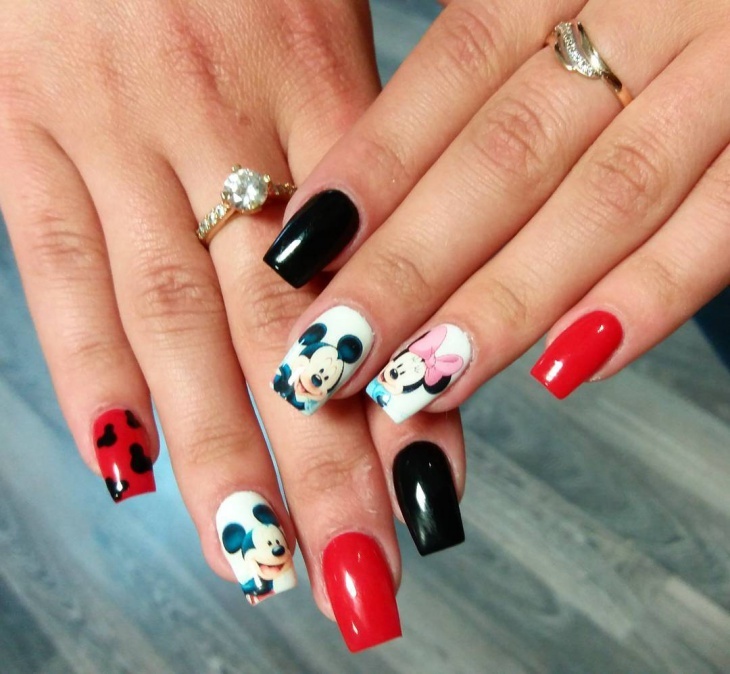 This has Mickey and Minnie mouse over it with the perfect red and black color combination. 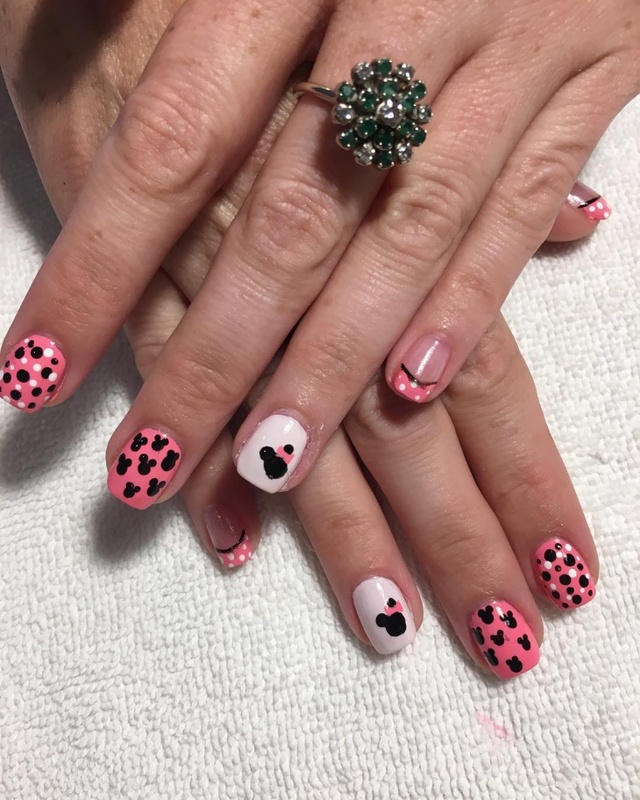 The nail design is done to perfection with the perfect color combinations. 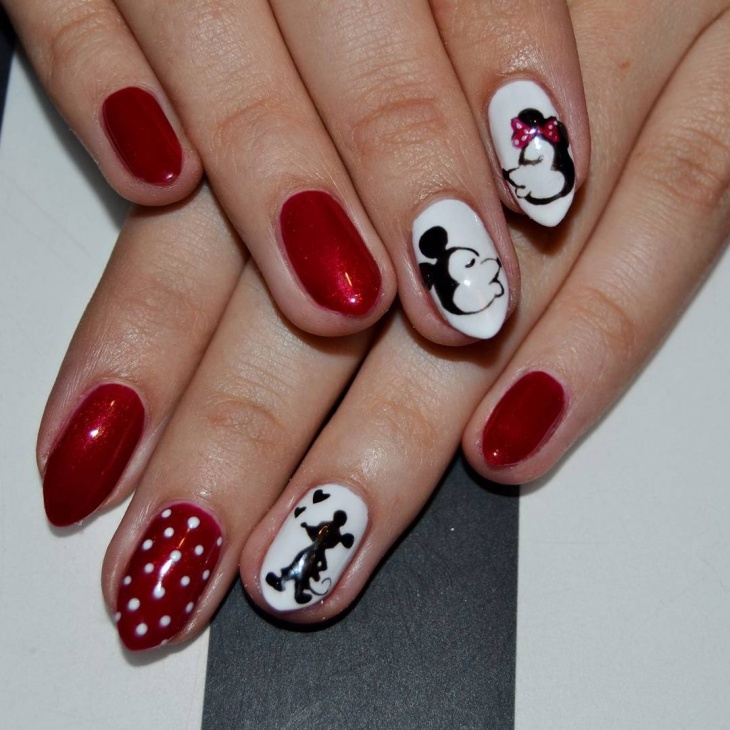 Red nails are always in fashion and this design with a touch of black and white to it makes it look splendid overall. 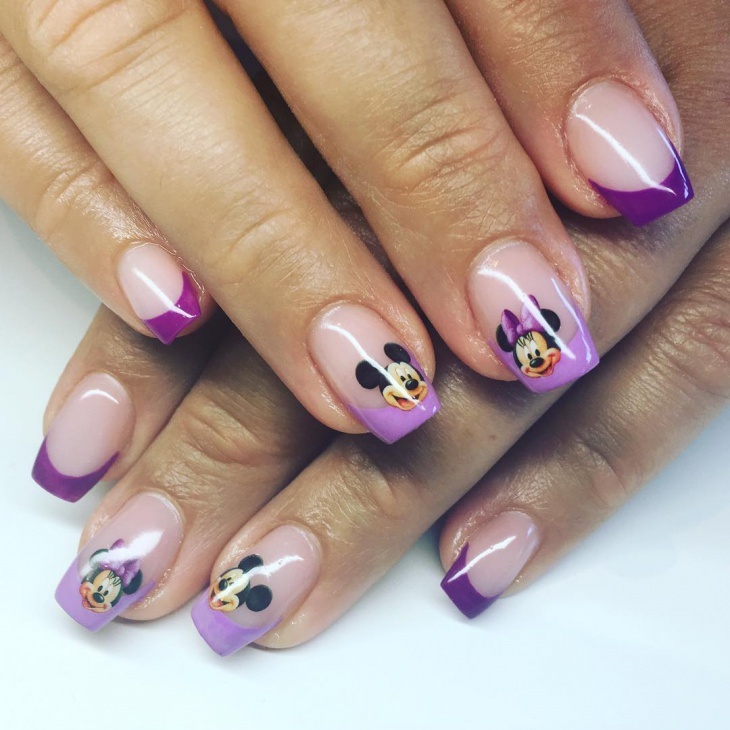 The idea of having three nails painted with the characters gives it a distinct look. 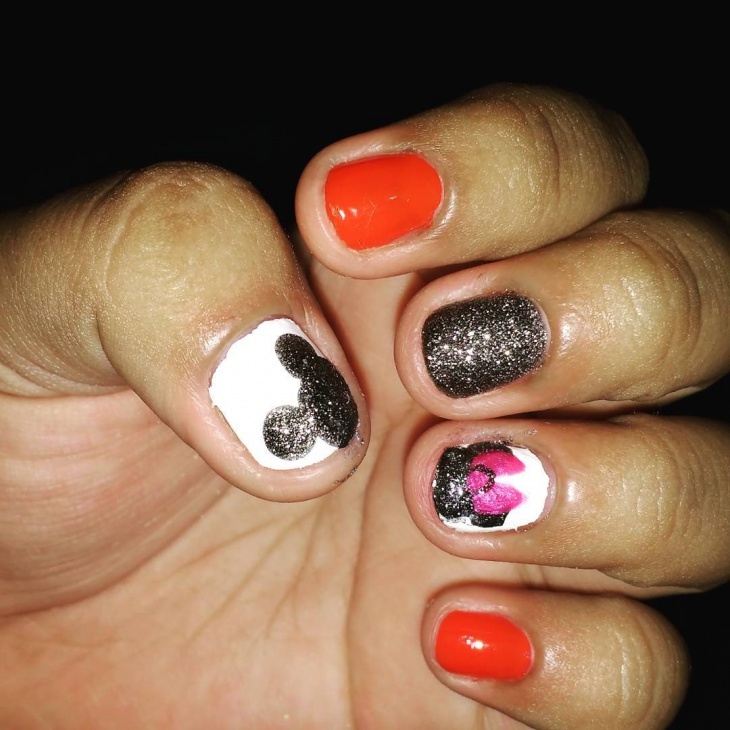 Not taking the usual red and black route, the design has been created from black and white nail paint instead. The characters are drawn to perfection and they appear delightful. 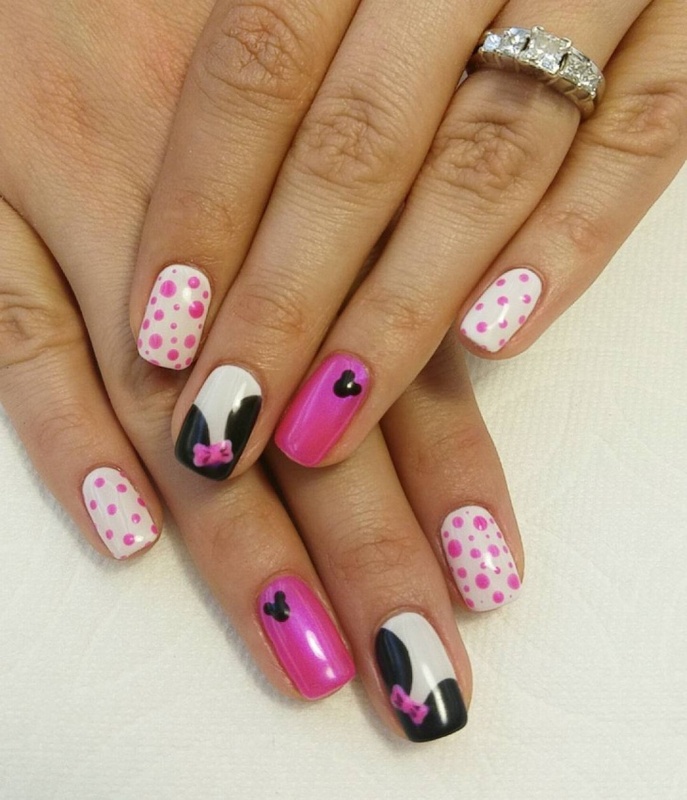 The pink done between the white and black breaks the monotony and helps in maintaining the subtlety of the design. 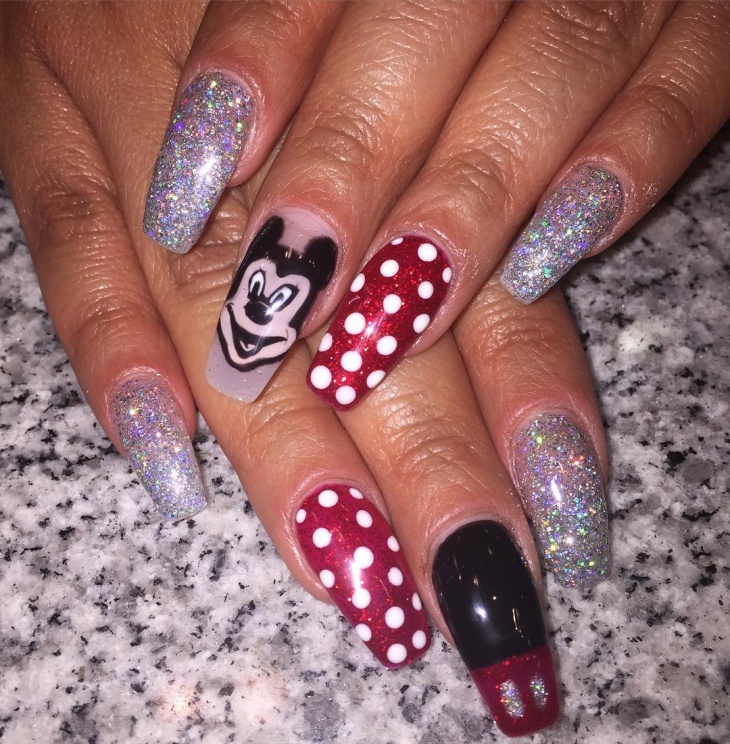 Here we have a design that has Mickey, polka dots, and glitters. It is a win-win combination and you can’t go wrong with it. 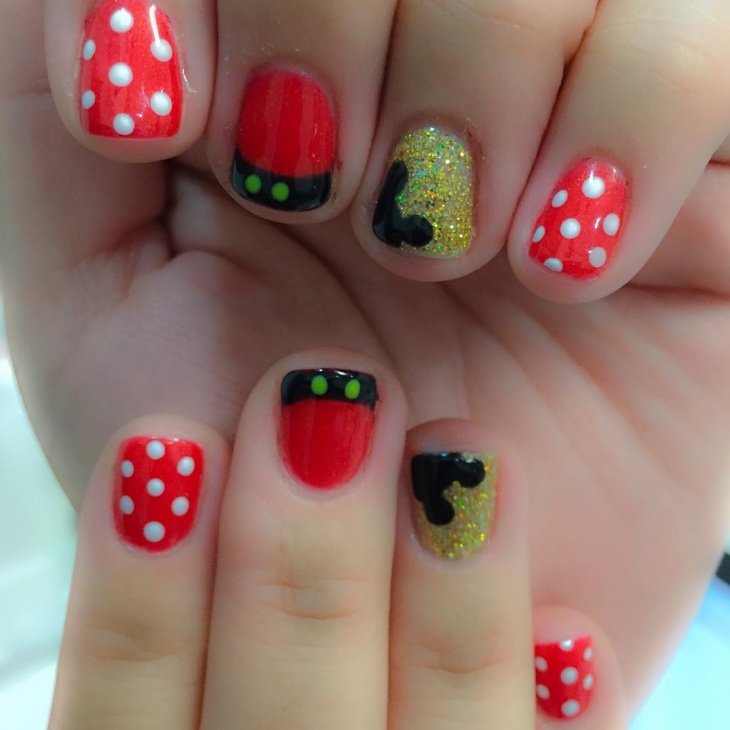 Mickey brings the cuteness and glitters maintain the glamor quotient. 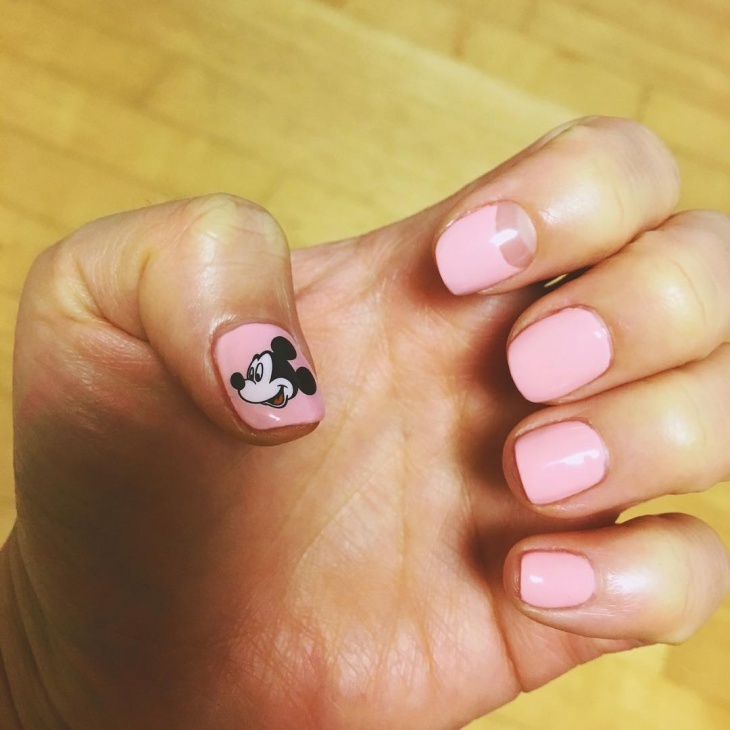 This design shouts out cute for every angle. This dainty design is done neatly and perfectly and we can’t spot anything that we don’t like about this design. We loved the design and would suggest it to someone who like to keep it minimal and perfect. 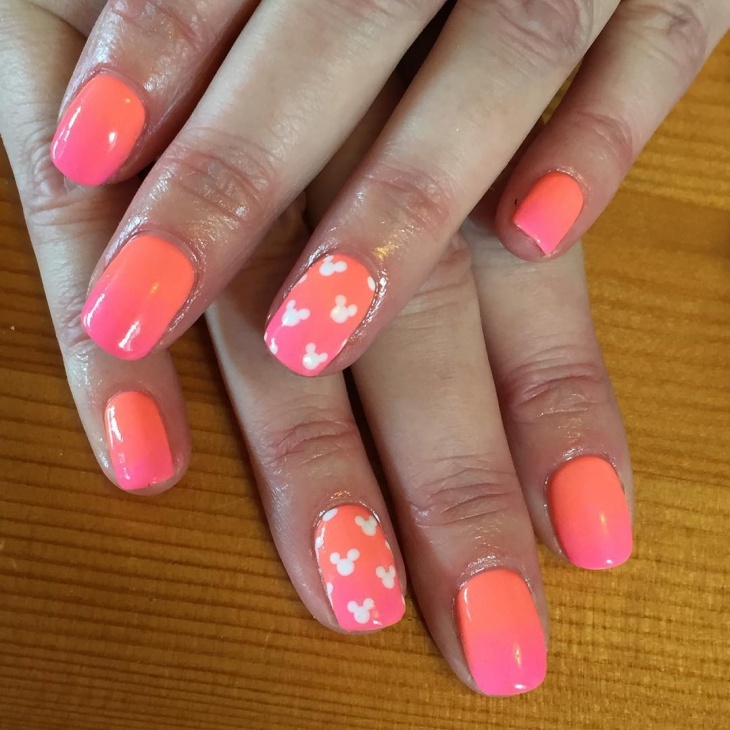 We love this design for the different colors that has been used. It breaks the monotony of just black and white or red and black. There are colors like purple and orange added to it too. 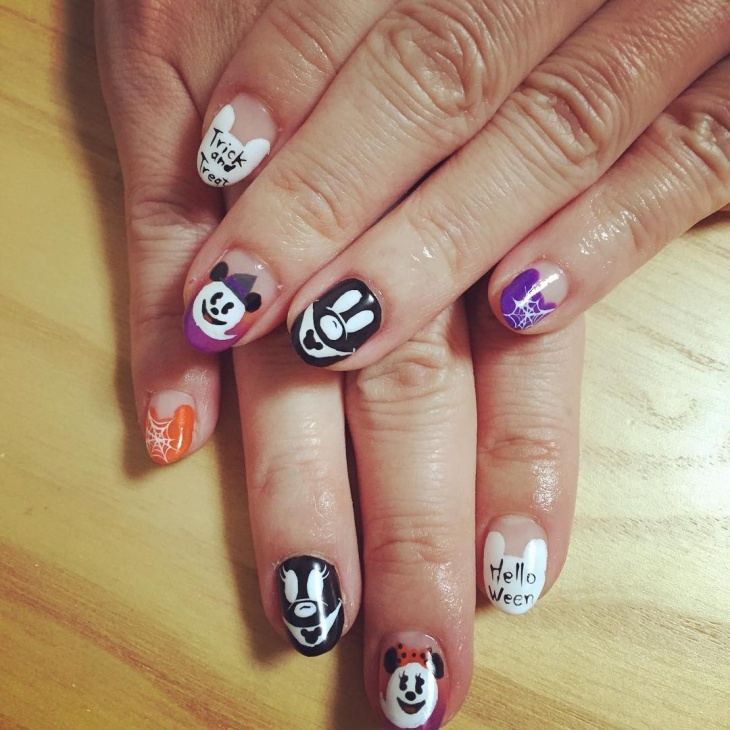 We also like how only the face or the head is drawn onto the nails. This is definitely a quirky design. 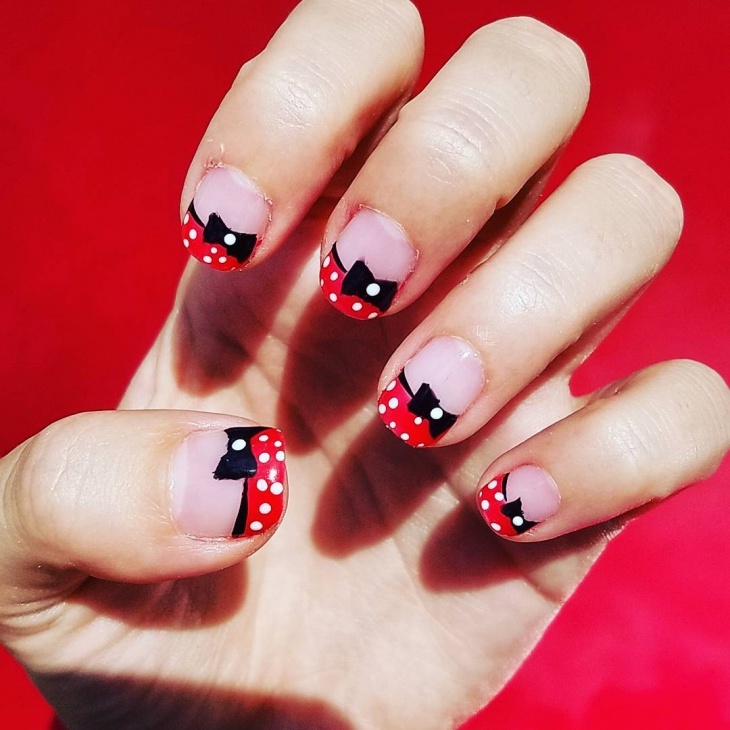 This design is straight out of a Disney book. The color combination is perfect and most importantly, it is meticulously done. 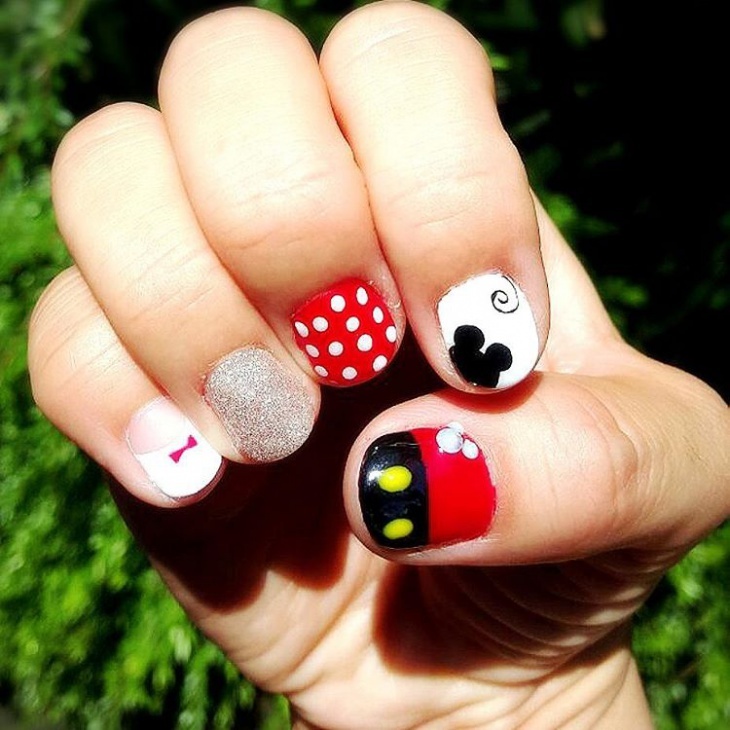 This is definitely visually appealing and will grab the attention of any Disney lover. Those of you with short nails must try out this design. 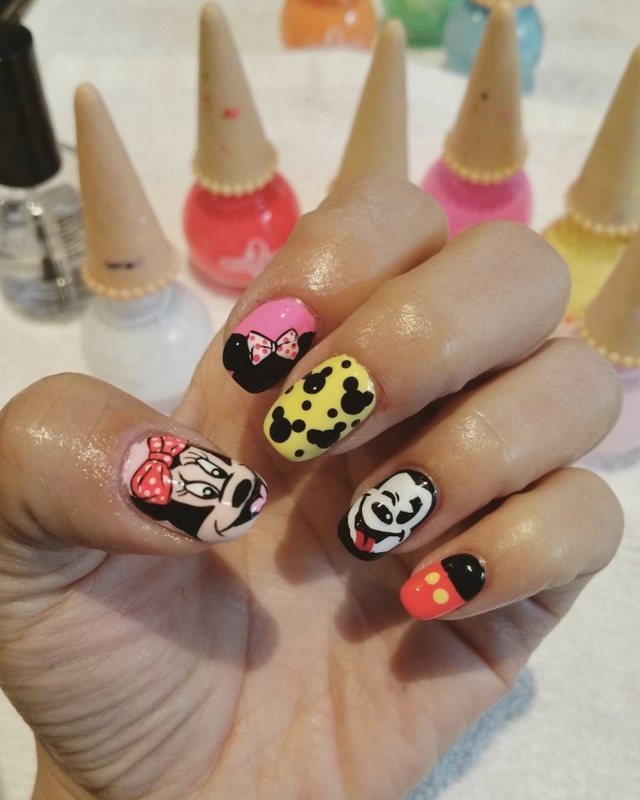 The Disney characters stamping done onto these nails are colorful and stand out in those terms from the others. 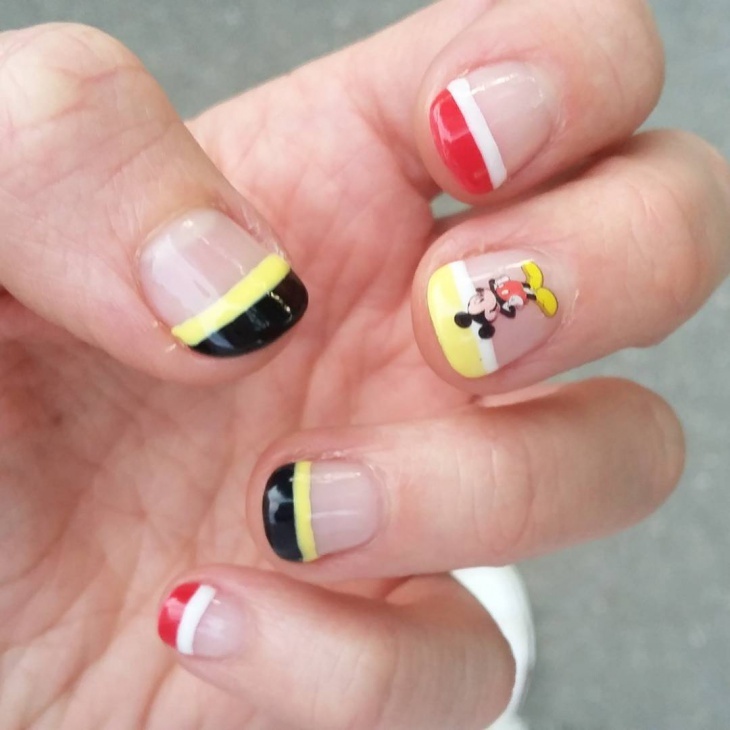 The black and red are the usual Disney colors that look nice and mix well with rest of the design as well. Overall this design looks smart and trendy. Anyone in love with the color pink should get this done. 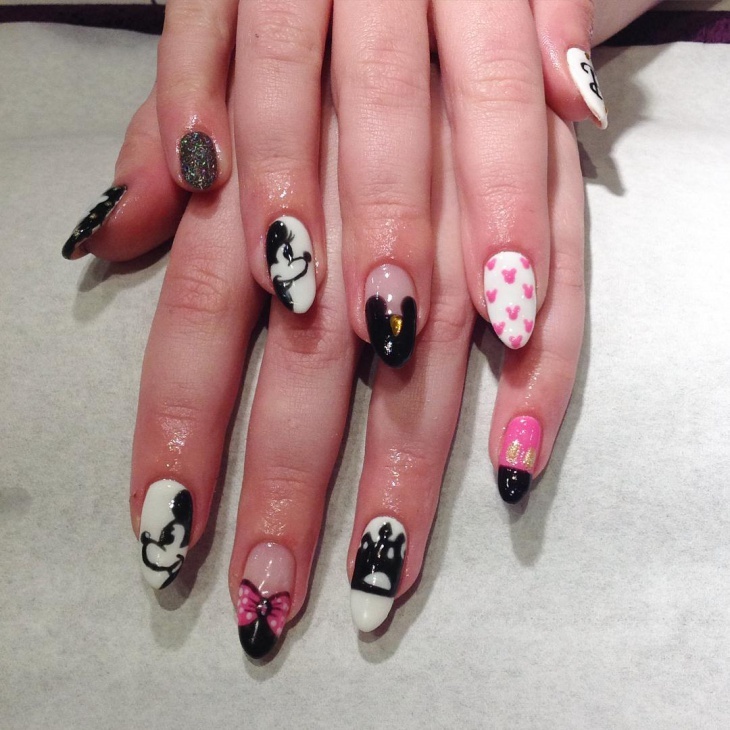 The black Disney design done onto the pink gives it a contrasting look and makes it look very pretty. 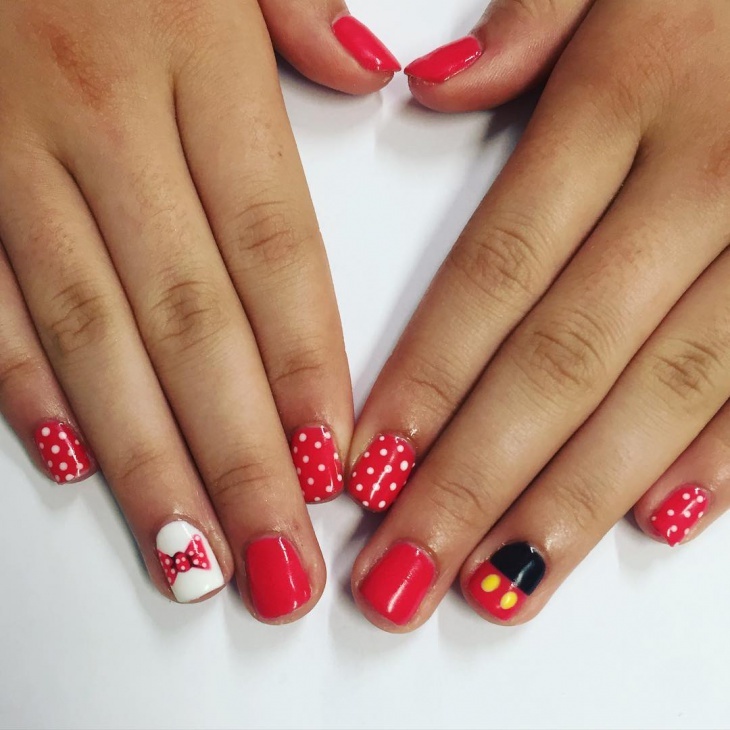 This polka dots design with Minnie Mouse is cute and adorable. The combination of pink and white is delightful. 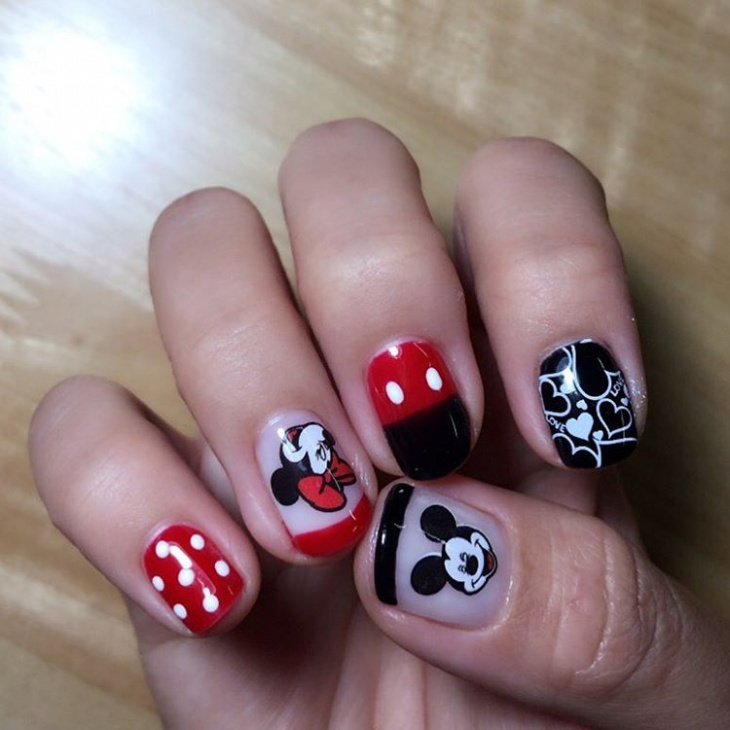 Overall, the design is beautiful and pleasing, just like Minnie. Do let us know the design you are going to choose. They all look very cute and we love them all. Hope the artcile helped you in making a good choice.